location: Very far from the sun and beside the Earth. It has protected itself from being seen using a move that only The Sayains know of. history: Tai, Nin and Gem were 3 planets all of great size, before Frieza came. It wasn't the Frieza that everyone feared but he was far stronger, he believed that only Changlings [Frieza's race] deserved to inhabit the Galaxy. But the Changling planet allowed Sayains, Humans and others to reside. Frieza seeing the three planets used a secret move to destroy them all. Earth had control of Gem, Sayain's had control of Tai and Nin was controlled by Hunted Androids, Androids that people were hunting for money, Frieza using this attack killed him for some reason but merged the three planets to make Namkai. Namkai had the three populations and thus, they would create half androids, half Sayains and half Humans. Frieza looked at his marveled creation and figured that people would take the planet and let other races in. He before dying covered the planet so it could not be seen. Humans went around, searching for the lost people of Gem but could never find them. The Android hunters could not find them either so gave up, New Vegeta could not find the Sayains but one family stumbled across it. 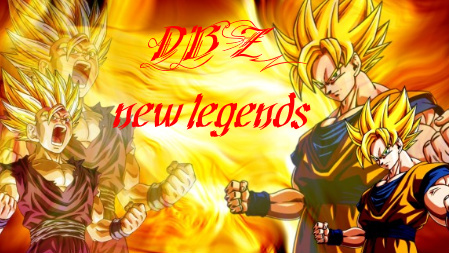 They created a Sayain army and following there creators Frieza's rule, they attacked and pillaged weaker planets. okay so basically there were three planets, fireza fused them toghter, and tried to make a super race. can yu please explain how frieza merged the planets and try to explain how earth was in control of gen since earth had barley made space ships during the fireza saga. if you can do that then i would see no problem with it. Frieza [Its not the Saga one its a custom one]. Basically, when Earth made failed tries to get into space, sometimes they got into space but they flew down [This was back in the year 1990s] sometimes they flew down but the people inside died or weren't there anymore. [Their bodies were destroyed.] so instead of having destroyed bodies they landed on Gen. The Changlings [Frieza's race] had a move much like the move Frieza used to destroy Namek, but it was like a reversed version so instead of destroying a planet it merged planets to make one huge planet. It wasn't his intention to make a super race, he wanted a race where only one race could live in. okay then so just to be sure humans, androids and sayians live on this planet and are they at war with each other here or is the sayian race the dominate race on this planet? Humans used to be the main race as there were more of them. Then Sayain's thought of them as rivals so the Sayian's killed most of the humans. One Sayain tried to kill the Androids but got killed so the Sayain's and Androids don't hate each other.